Simply Charming Socials has worked with some of the top wedding and event venues in Atlanta, Georgia, and the Southeast, as well as select locations in New York City and beyond. We are able to transform any location into the perfect setting for a wedding or social event. From cityscapes to destinations, ballrooms to barns, mountaintops to lakeside, here are some of our top wedding venues. With its industrial interior, grand wooden staircase, and iron-clad windows, Summerour is a favorite Atlanta wedding venue. But it's front courtyard is the showstopper. We've planned & designed many events at Summerour including Ashley & Mike's wedding featured on Pretty My Party, Rachel & Rob's wedding featured on The Knot and Style Me Pretty, Christine & Jackson's Wedding on Snippet & Ink, and our famed Velveteen Rabbit editorial as seen in French Style Magazine, Occasions Magazine, and Style Me Pretty Living. Famed in movies and the picture of elegance, The Atlanta History Center, also known as The Swan House, has become the backdrop for some gorgeous affairs. 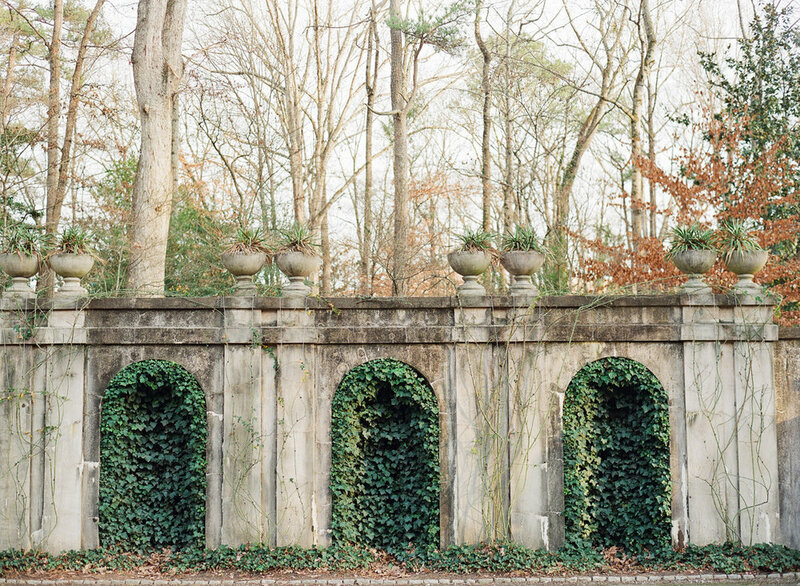 The setting for our Studio Aesthete (featured on Wedding Sparrow and in Utterly Engaged) and New Southern (as seen on Magnolia Rouge) editorials, we're always inspired by this grand venue. 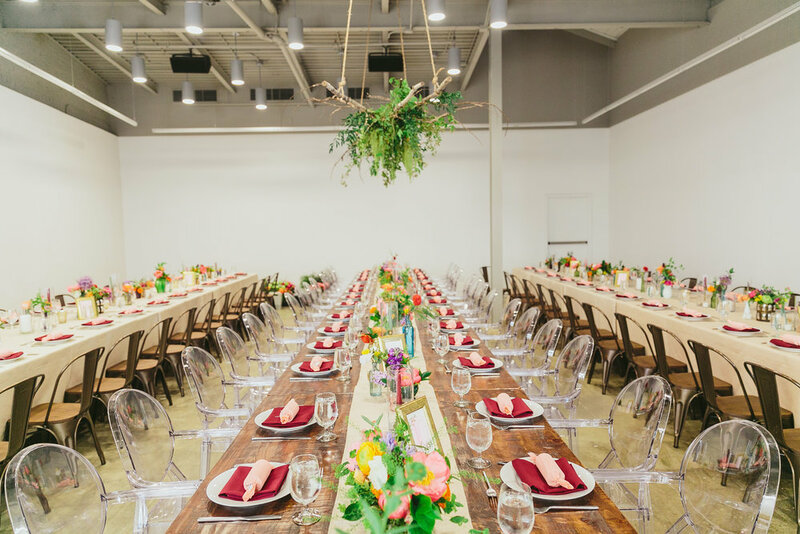 With its sky-high ceilings, expansive windows, and blank slate appeal, The Foundry is the Atlanta venue for a couple seeking versatility. The setting for our very memorable Hindu-American wedding of Sejal & Narayana, as seen in print in and on the web by Martha Stewart Weddings. Adjacent to the American Spirit Whisky Distillery, The Stave Room is a very cool space. Its roll up garage door, tree lined hallway, and neutral draping are lovely, but the large chalkboard which boasts personalized artwork for each event is a showstopper, just like at Allison & Matt's wedding. 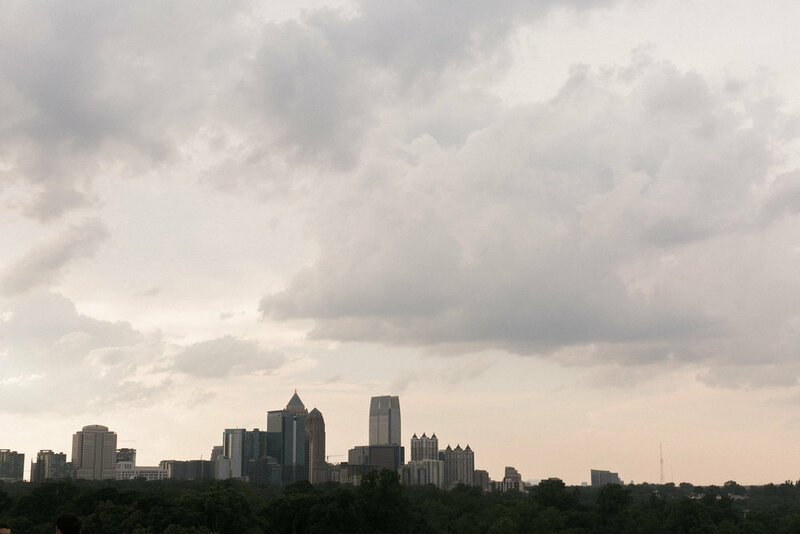 High above Ponce City Market, the renovated landmark that used to be the Sears building, sits a magnificent new venue with sweeping views of the Atlanta skyline. We love Skyline Park for pre-wading festivities - akin to a boardwalk carnival. 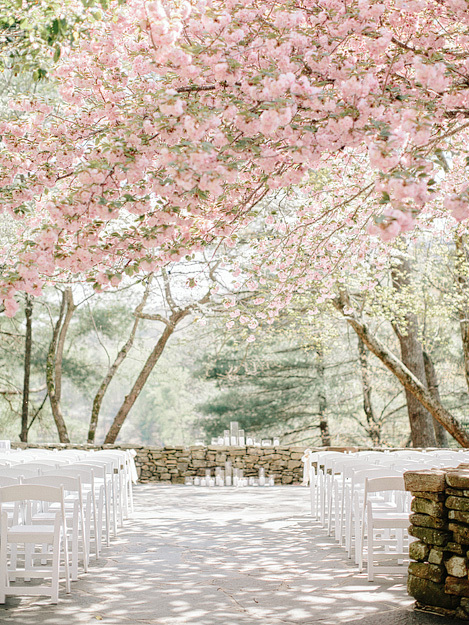 We loved planning Liz & Zach's wedding here. The interior is an art gallery featuring of-the-moment Atlanta artists, while the entrance boasts an open-air pavilion just rusty enough to look like an urban ruins. The ACAC is the perfect setting for art lovers looking for a blank slate wedding venue with a lot of character. If you're looking for a super cool studio space with expansive white walls, factory windows, and the rep of being a photo shoot favorite / rap video setting, look not further than Ambient. 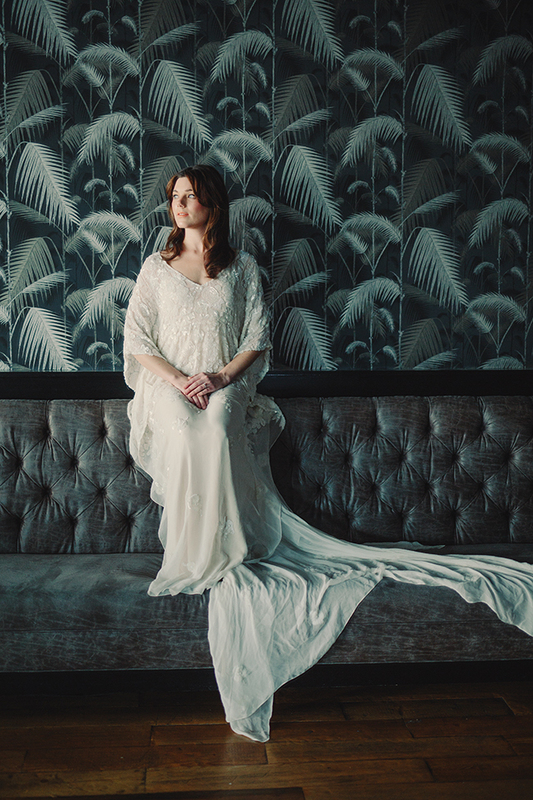 We have designed weddings and editorials alike in this space, including BotanicATL. With it's flora and fauna, botanical creations, and impeccable lawns, this Atlanta institution is a beautiful backdrop for a wedding. We have enjoyed every event at this venue, especially Natalie and Jake's stunning wedding as featured on Style Me Pretty. All the theatrics that perfectly pair with a wedding venue, The Fox Theatre is fabulous. From The Marquee to The Eqyptian Ballroom, it's iconic features make anyone hosting a celebration there, like Clara & Tanner, feel like a star. Located in the Dekalb History Center, this quaint but stunning ballroom is a marble-lovers' dream. 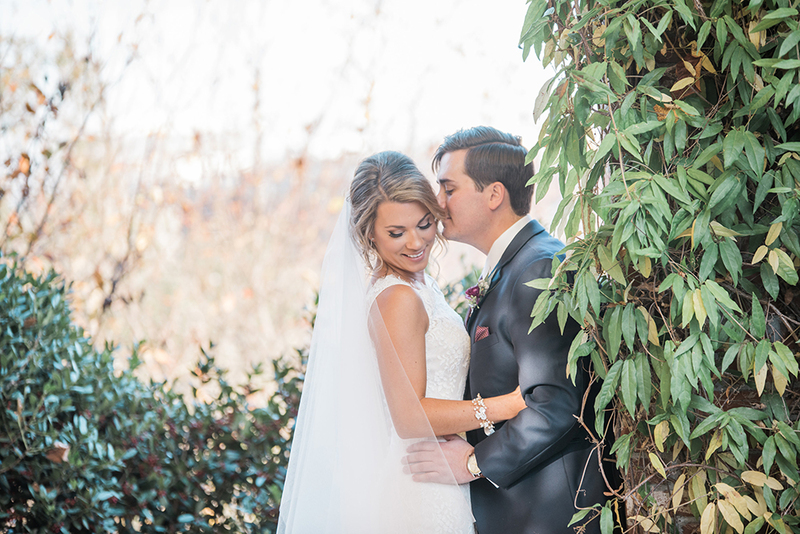 No matter the season, this location set in the heart of downtown Decatur is filled with culture and style, which is why it has been chosen by many of our clients, including Sydney & Dustin, whose wedding was featured in The Knot. One of our favorite hotels in Atlanta and the site of pure glamour and elegance, The Georgian Terrace is fit for the most formal and chic of events. It’s suited for a black tie affair, with it’s grand ballroom, interesting architecture, stone terraces, and sweeping staircases. Breathtaking outdoor amphitheater and gardens with lots of celebrity history. 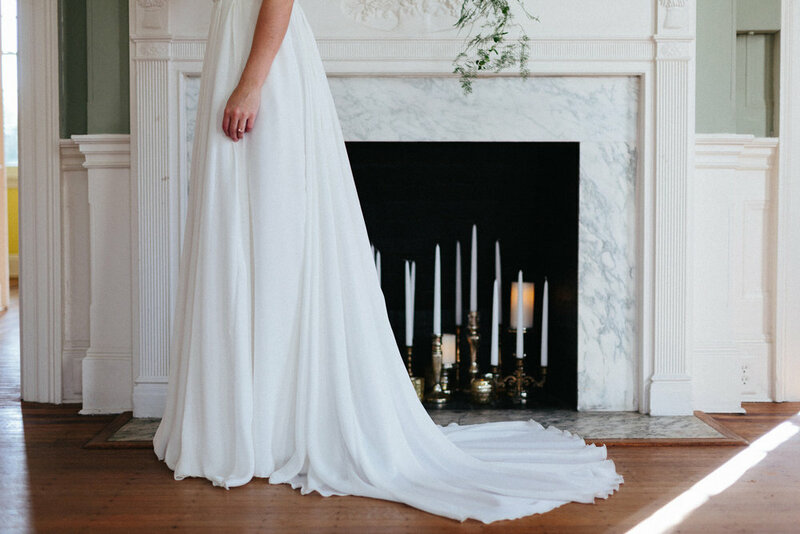 The setting for our A Winter Affair editorial as seen in Weddings Unveiled and Lauren & Austin's wedding as seen on Style Me Pretty and Mod Wedding. With its notable stables, various venues, and expansive lawns, this is the perfect setting for any equestrian or country club-goer. The setting for our The Great Escape editorial as seen in Weddings Unveiled and on Wedding Sparrow, as well as Kenzie & Ward's wedding as featured on Style Me Pretty. Nestled in the heart of Marietta, right near the Square and adjacent to many shops and restaurants, is The Brickyard. A venue known for it’s indie cool weddings (read: plenty of room for a food truck) and large hanging metal hoop which is just begging for a hanging installation, we have enjoyed working here. The first time we set foot on the property, we were taken aback by the quaint farm of animals and vegetable garden, the gorgeous red barn (with lovely sleeping accommodations and farmhouse chic kitchen) and especially, the row of the cutest white cabins. 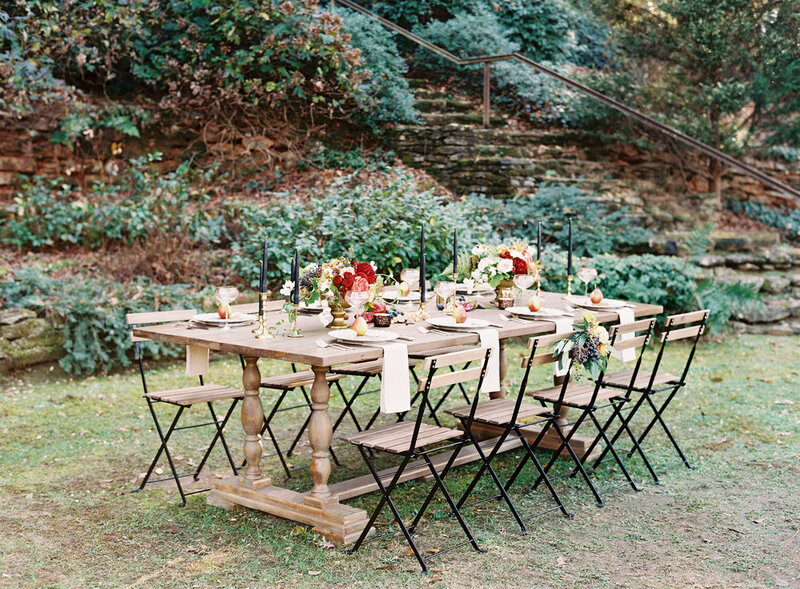 When we planned and designed Sarah & Casey’s wedding weekend in the mountains, we realized how much fun guests have at this retreat, just like at summer camp with your very best friends. There are so many incredible spots to get married in the North Georgia mountain community of Big Canoe. From the Clubhouse overlooking Lake Sconti, the site of Brittany & Nelson's wedding, to the cabin-like Chimneys, any lake-lover or outdoorsy couple can find a venue. Also check out their quaint Chapel. A personal favorite (Kristine and her husband Ken said “I do” here! ), Montaluce Winery is the closest you’ll find to Napa or Tuscany in the Southeast. We adore their views, the incredible villas on property, and the high-end restaurant, which also serves as the caterer for an unbelievable wedding meal. When you’re puttin on the Ritz, but still want a weekend at the lake with your friends, The Ritz-Carlton, Reynolds is the resort for you. With every water amenity you could ever want, high end accommodations, and a stunning property, we know why this is a favorite for lake lovers to wed. Located right on the University of Georgia’s East Campus, the Georgia Museum of Art is a modern gallery, perfect for hosting a wedding or gala. It’s two story foyer, clean lines, and marble floors allow guests to step into the museum after hours to celebrate. When throwing a sophisticated affair in Athens just like Emily & Jon, definitely consider the GMOA. Another Lake Oconee institution, the Harbor Club is another fantastic option to consider in the area. What used to be a members-only club, known for their golf, is now open to the public for weddings and events, still with an exclusive feel. The site of over a dozen Simply Charming Socials weddings in our founding years of business, we have a very special place in our hearts for Fair Weather. This private property in Monroe allows couples to welcome guests into the grand lodge, say their vows in front of their old oak tree, and party into the night in the barn. Our work here has been featured in countless publications, most notably, Maggie & Greg in Martha Stewart Weddings in print and online. With all of the Southern Charm expected in one of our favorite cities, Charleston, this venue is perfect for belles and beaus to exchange their vows. We love the countless salons, each with their own fireplace, the spiral staircase, and the checkerboard floor of the foyer. Steps from the best city on earth, this Brooklyn gem is a stunner. Notables: the retro wallpaper, speakeasy-style bar, velvet banquets, and its endless skylights. Pure New York City magic and the site of our beloved Gotham editorial.